One of the most commonly requested procedures today, quickly and effectively producing a brighter smile. Our clinic in Krakow uses the Beyond Lamp whitening system, which is not only a very efficient way to whiten your teeth but also a fast and simple procedure that can be done in less than an hour. It leaves your teeth whiter, glossier and shinier. 4. 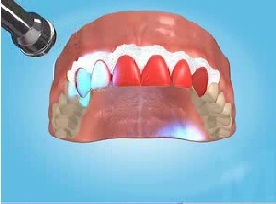 Teeth are whitened by the lamp. 5. Security layers are removed. 6. The teeth are whitened now. This advanced whitening technology can wipe away years of smoking, coffee drinking or aging in only thirty minutes. Treatments are comfortable, safe and effective with average shade improvements being between five and fourteen shades lighter. Teeth whitening is not the solution for everybody. Whitening will only lighten the existing colour of your teeth. If you desire a specific shade, veneers may be a better option for you. 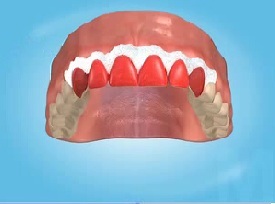 If you have any false teeth, whitening will not work as it is only appropriate for and effective on natural teeth. 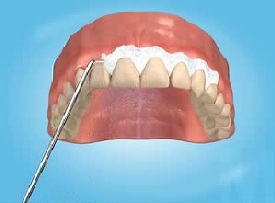 Dentures, crowns and veneers are also unsuitable for whitening. 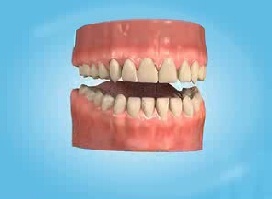 Dentures can be cleaned by your UK dentist with relative ease. How do I look after my new whitened teeth? Your dentist will be able to advise you with regards to maintaining your teeth as well as recommending products which you may like to consider using. Everybody’s lifestyle is different and there isn’t a one-size-fits-all solution, but good oral hygiene and regular dental check-ups are always a good place to start. Your teeth may be slightly sensitive for a few days, but this effect very quickly disappears. 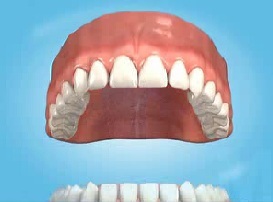 There are products available to reduce this effect, which your dentist can advise you of. Firstly, a chemical barrier will be applied to your gums. 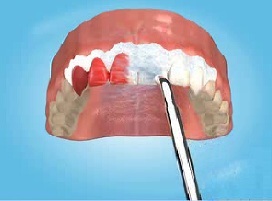 This is essential to ensure that your gums are protected during the process. We then apply the whitening solution to your teeth, which only becomes active once heat or light is applied to it. This allows for total precision. The barrier is then removed. This depends on the patient, but usually takes no longer than an hour.